The best kind of food? The one made with love. And these ones were made with a high dosage of love, jars of laughter, and (excessive) pinches of craziness; in other words: friendship. 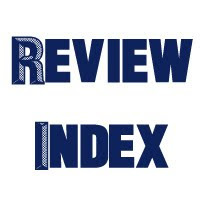 There are two reasons that I am posting this short post. First, I miss them. The two best friends whose characters are so different yet complementing each other very well. The two whom I have so much fun with, when a whole 24-hours is not enough to share gossips and stories. The three of us are studying at different cities, so holiday time is really precious because we then can get together again and make another laughable idiocy. 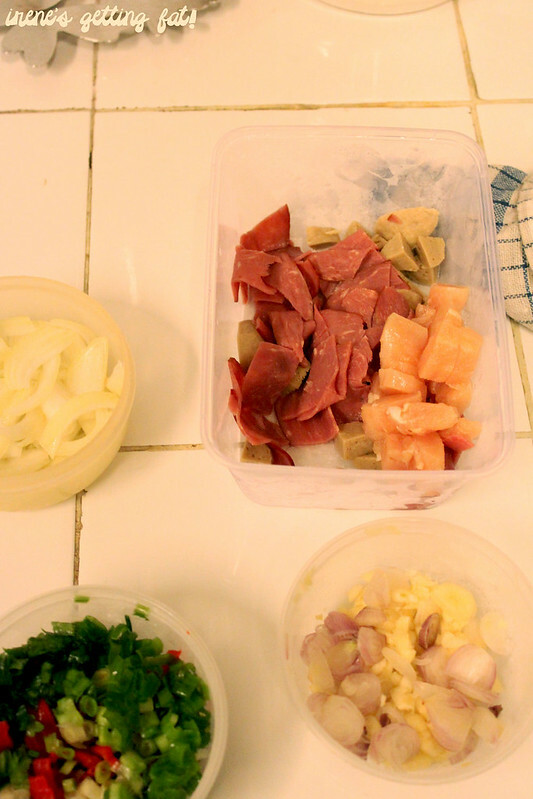 That time, our very first cooking session. Gracia's cozy kitchen was the victim. 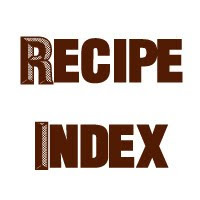 We each had one recipe to whip for lunch, and because none of us are really confident with dessert making, we skip it and went straight to much heavier dishes. 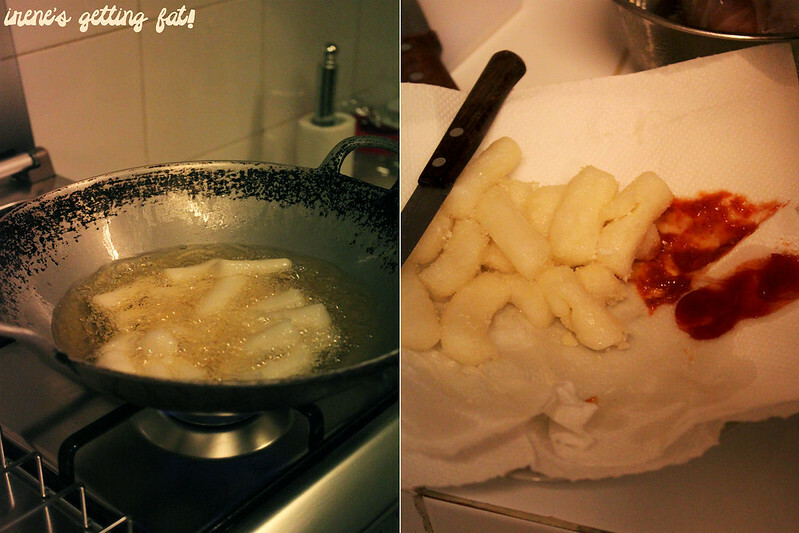 Starters: I fried my ddeok (Korean rice cakes). Although they stuck together in the wok, the result was crispy yet chewy rice cakes, perfect with a pinch of salt and chilli/tomato sauce. Addictive, this one. 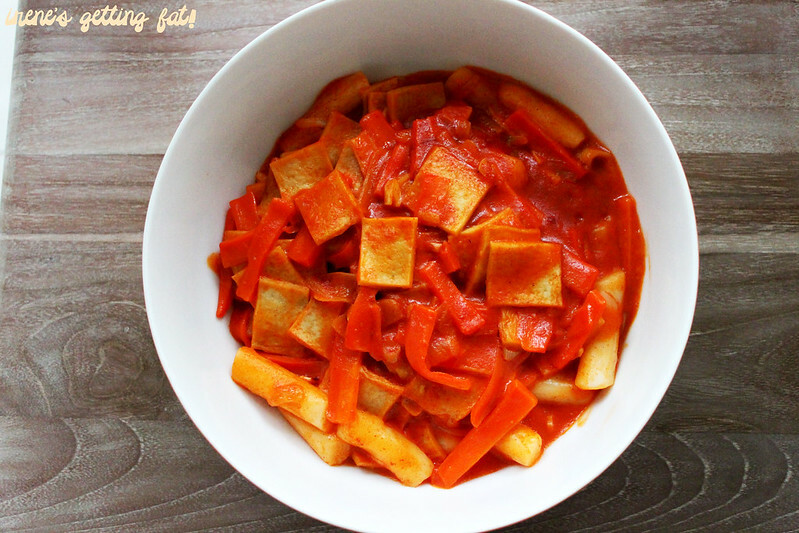 It seemed that they were curious about ddeokbokki (Korean rice cakes in spicy sauce), ever since I posted the recipe. Being a perfect friend like I am, I actually brought a tub of gochujang (Korean chilli paste), odeng (fish cake), and ddeok (rice cakes) to Jakarta. Little did I know I can purchase the ingredients there as well, although I may have to brave a number of traffic jams to go to the Korean grocery stores in Jakarta. 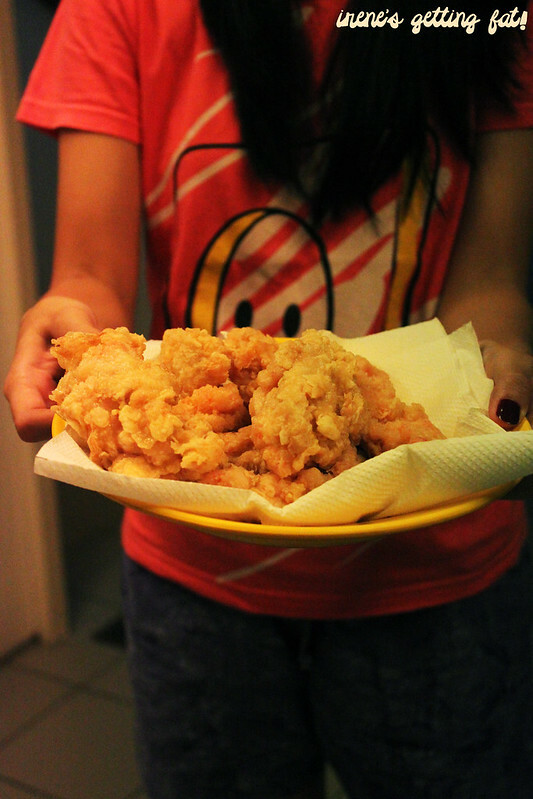 Gracia had the frying station occupied, with her ayam lapis udang, fried chicken breast with chopped prawns. 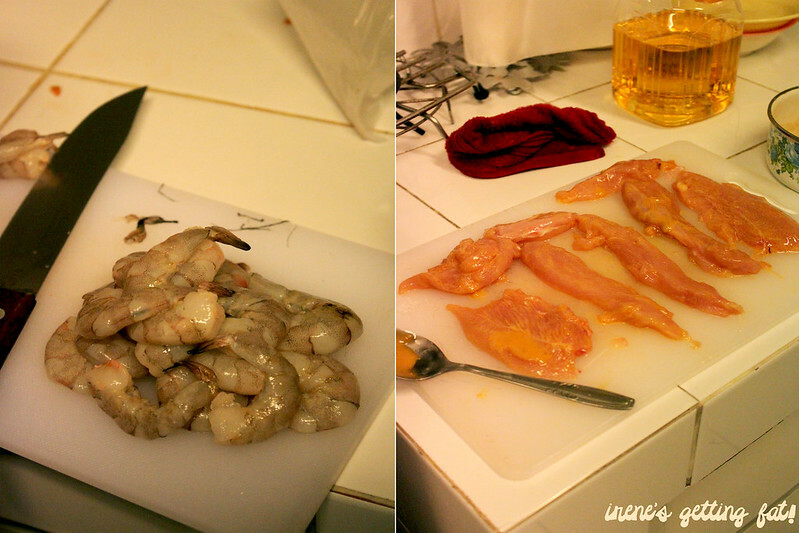 After cleaning the prawns (which seemed to take forever), chopping them, and preparing the chicken breasts, the aroma and sound of bubbling oil started to make my stomach growl. Christina seemed to have the easiest one, but she's the one with the most experience with stove among us, I reckon. So nobody doubted her. She was going to put smoked beef aglio olio on the table. My ddeokbokki was not as good as I hoped for, but maybe that's because I was too confident and didn't bring any recipe or measurements. It tasted more than decent to me, but they needed some adaptation to do. More Korean dramas! 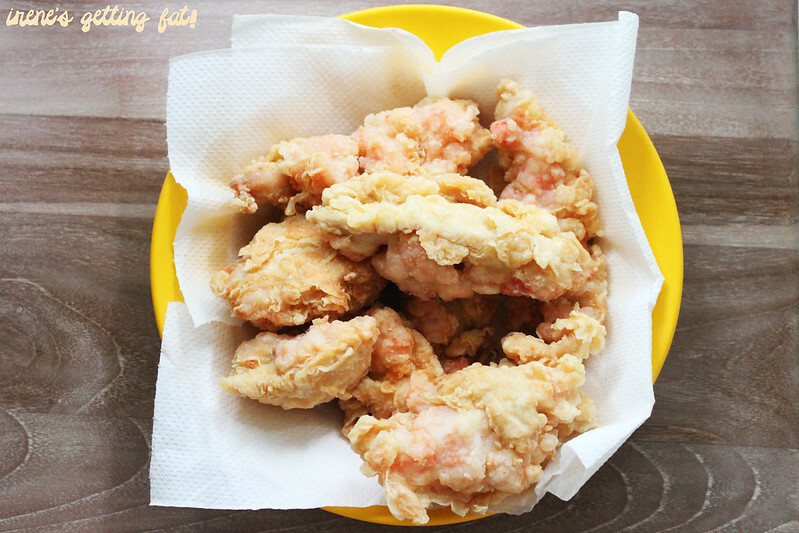 Ayam lapis udang (fried chicken breast with chopped prawns) was a great finger snacks. They were slightly dry, but any sauce can redeem the minor fault. It was moreish, crispy, and seasoned perfectly. 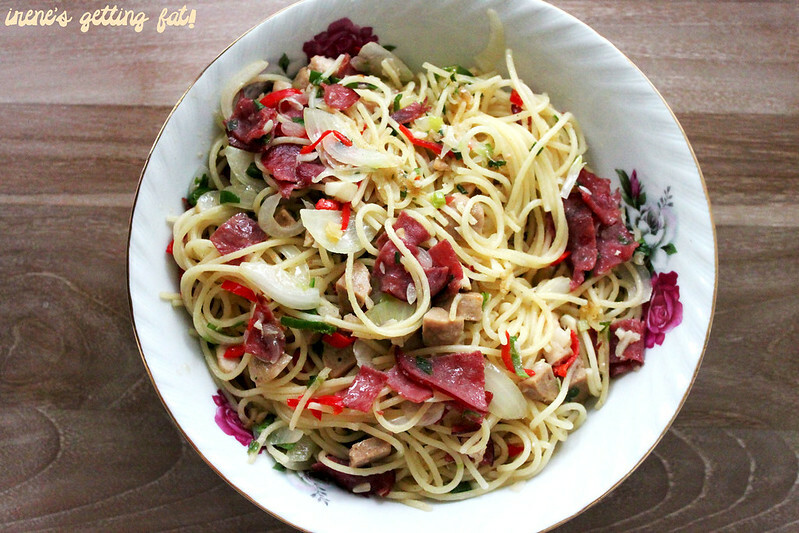 Smoked beef aglio olio was my substitute of rice. This one was a tastier carb loader. 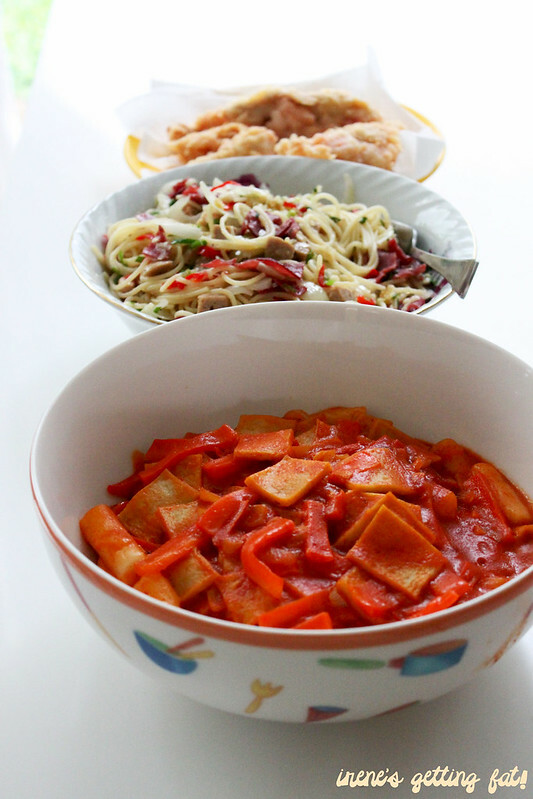 I didn't really pay attention on how Christina made it, it looked simple but tasted similar like my mother's cooking. As expected from the most mature one. To summarize, it was a super fun cooking session. And yes, we did clean the kitchen. Now, moving on to the second reason of me posting this post: it's Gracia's birthday today! Christina's will be in a week too, so I'm just gonna dedicate this post for them. 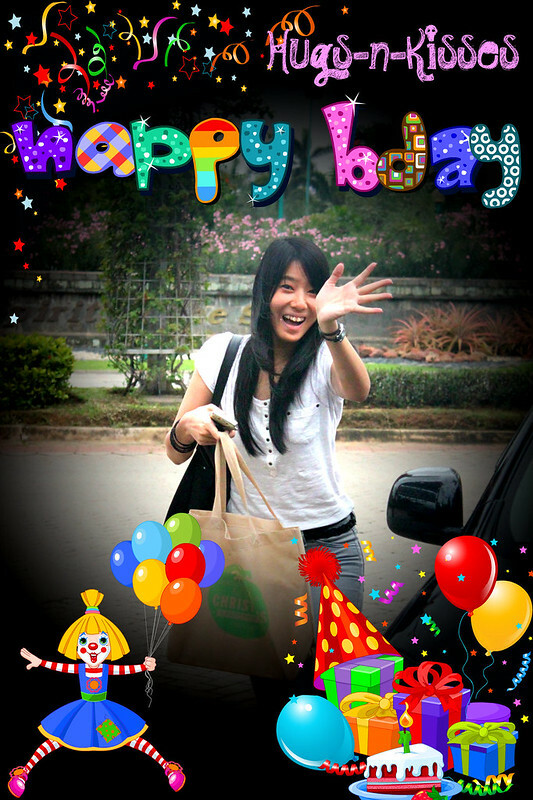 Happy birthday to you, birthday girl, I hope you're smiling reading this post. And I hope you're smiling too, dear readers! 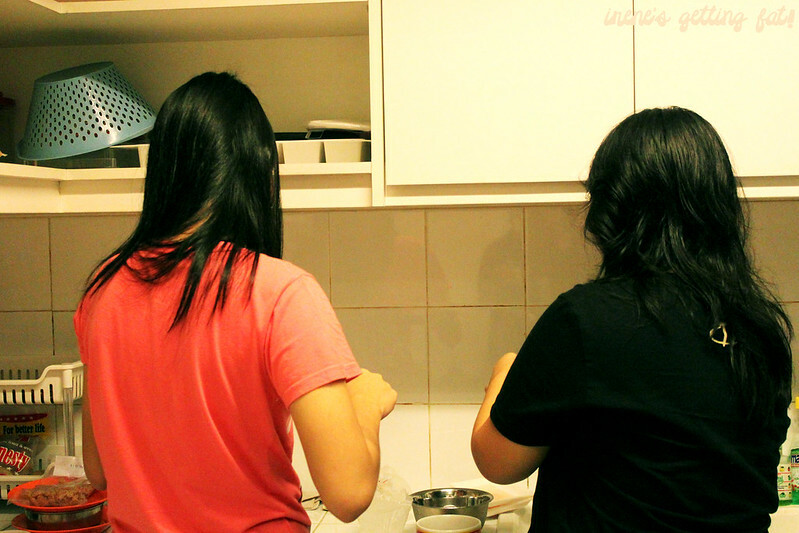 Tell me, do you like cooking sessions with best friends as much as I do? Do share! The food looks really yummy. I love cooking with friends, it's so much fun. WE DO. I'm so sorry Irene been really busy these days but let me know if you have some spare time to do the catch up!